Palm Beach, FL – October 3, 2008 –BG Strategic Advisors is pleased to announce that Dixie Warehouse Services, LLC, a warehouse and transportation focused outsourced 3PL provider based in Louisville, Kentucky, has merged with Jacobson Companies of Des Moines, Iowa, a leader in providing third-party logistics services. 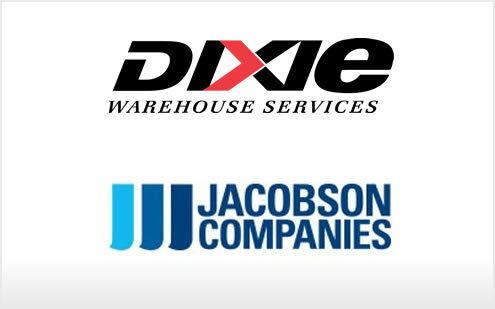 BG Strategic Advisors acted as the exclusive financial advisor to Dixie Warehouse Services in this transaction. “This is a great opportunity for us to leverage the synergies between the two companies and expand our family of services to other key regions in the South and Southeast, which are key to our future growth and success,” stated Craig Petermeier, Jacobson’s CEO. “This merger will introduce a nationwide service offering and new freight management services to our existing Dixie Warehouse customers. The result is we can bring more value-added solutions across their supply chain from end-to-end,” says Rick Finkbeiner, the combined companies’ President and Chief Business Development Officer. With this merger, Jacobson becomes the fourth largest warehouse 3PL provider in the nation, offering services worldwide and utilizing approximately 140 distribution center facilities and an additional 40 trucking, staffing, and cross-docking facilities strategically located across the country. 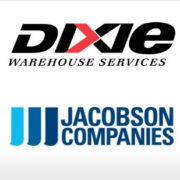 Dixie offers a 70-year tradition of service excellence as part of the Louisville, Kentucky marketplace, and has become the largest independent warehouse provider serving several Fortune 500 customers. Dixie operates over 1.2 million square feet of warehouse space in Louisville, which includes providing innovative rail-served distribution solutions. The company’s service has been recognized by its blue chip customers and has offered additional opportunities, including its expansion in Louisiana, where Dixie has operated an additional 2 million square feet of warehouse space for the past 10 years. For more information, visit http://www.dixiewarehouse.com. A nationally ranked third-party logistics and ISO-9001:2000 quality certified warehousing provider, Jacobson is dedicated to providing innovative solutions to customers’ supply chain management challenges. The Jacobson organization includes the following family of integrated operating companies: Jacobson Warehouse Company, Jacobson Transportation Company, Jacobson Logistics Company, Jacobson Packaging Company, and Jacobson Staffing Company. The Jacobson Companies operate a 32 million-square-foot national network of warehouse space. Jacobson’s integrated transportation, warehousing and packaging, and staffing operations are designed to help customers reduce their supply chain management costs. For more information, visit http://www.jacobsonco.com.